For collectors, keeping your collectibles safe is of the utmost importance. The value of your collectibles rests almost solely on their condition, and keeping them in pristine condition is not only important to you for future sales, but also for the sake of the collection itself. For collectors of sports memorabilia, this is arguably more relevant because they often include signatures that can fade away. In today’s post, Affordable Family Storage will give some self-storage tips for collectors of sports memorabilia that will help keep your collectibles and valuables in great condition. What Items Are You Storing? This is the first question that any collector must ask themselves. What you are collecting will have a major impact on how that thing will be stored. Sports memorabilia is often categorized into two broad categories: replicas and authentic memorabilia. Replica memorabilia are things like pennants and helmets that were never used on the field and aren’t authenticated by a player or member of a sports team. Authentic memorabilia is focused on items that were either actually used on the field or were signed by people who participated on the field. If you are storing replica memorabilia, you won’t have to be as careful with storage solutions as you will with authentic memorabilia. Some collectors can have a large collection without taking up that much space. For instance, baseball card collectors can have thousands of baseball cards consolidated into a few boxes or containers. So, while volume is important, the type of volume is more important. 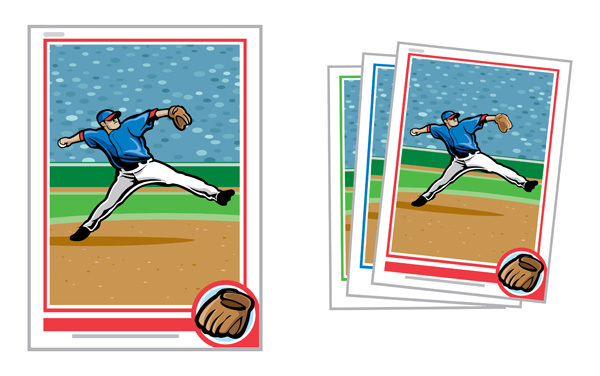 100 baseball cards should be stored differently than 100 signed footballs or helmets. Why Are You Storing Your Memorabilia? When deciding on a storage solution, it’s important to have a goal in mind. Are you storing it to pass on to your kids? Are you storing it because you want to sell it in the future? Or are you storing it because you aren’t interested in it anymore and want it out of the house? If you are storing because you want to sell it in the future or because you want to pass it on to your kids, it will be more important to keep the collectibles in good shape. A climate-controlled storage solution would be optimal, especially if you have signatures on your memorabilia. If you are looking for a place to store your sports memorabilia, Affordable Family Storage is your best option. Give us a call today at (712) 794-4648 or contact us online for more information on our storage solutions.